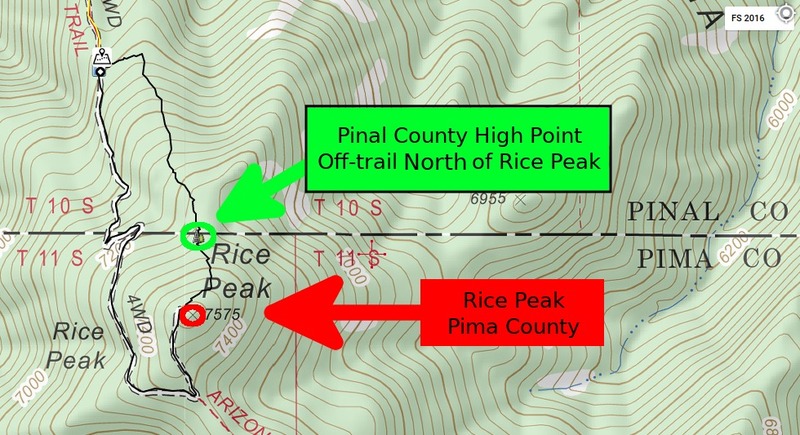 Rice Peak is a prominent bump along Oracle Ridge and the gateway to the easiest access to the Pinal County High Point. NOT Pinal County High Point, see link above. 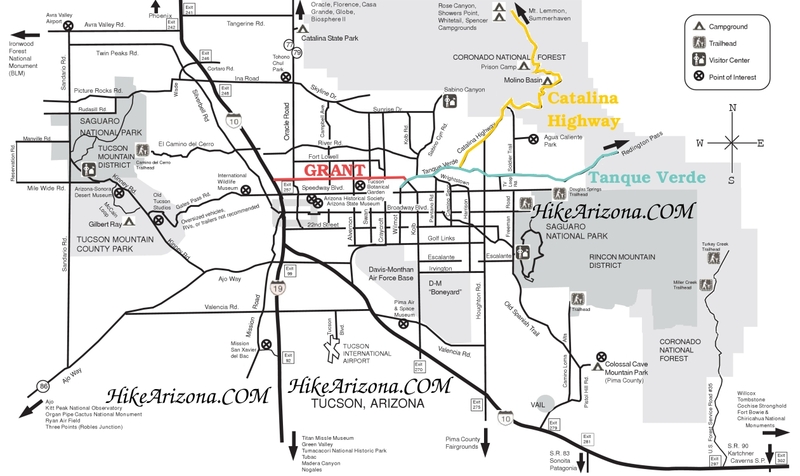 It can be accessed by driving a very difficult jeep trail from the Peppersauce Campground or it can be reached on foot from the same point, other spots along the jeep route, or from AZT#12.